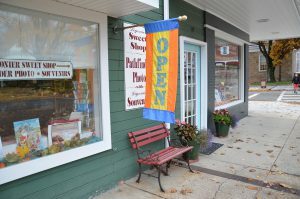 Many downtown master plans will identify a consistent street furnishing palette as a critical element in enhancing the sense of place in a core downtown. 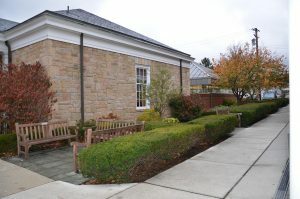 There is certainly value in that consistent approach, but when you spend time in Ligonier, you get a rare opportunity to see an exception to the rule. 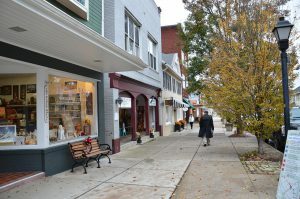 Ligonier is charming and full of great shopping and dining, but a consistent palette of site furniture is not there. It doesn’t matter though because you never have to look for the furniture or a seat. 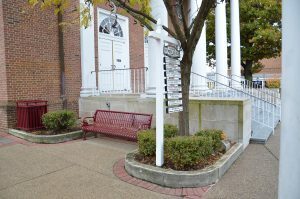 In Ligonier, there is value placed on providing benches for the patrons of the community and while the form, color, material, size, and location may vary, the most important constant is the presence of the bench. 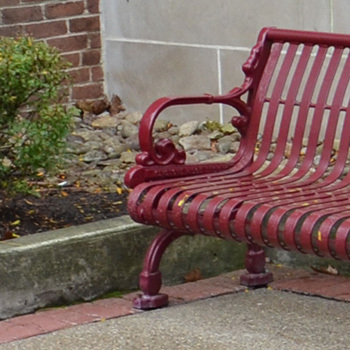 Any time you feel compelled to rest your feet in Ligonier, there will be a bench. On the Diamond, they are wooden and painted a classic pale green. If you leave the library, they are teak and weathering nicely. And if you just had lunch at Table 105, they are metal. There is an urban myth that you won’t walk more than 20’ at Disneyland without seeing a trash can. I cannot confirm the exact spacing there, but that is not the essence of the myth. The essence speaks to a goal ”“ to have a clean park. 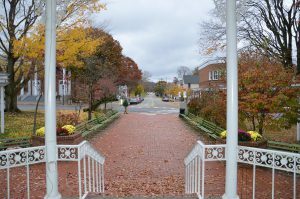 Likewise, in Ligonier, the goal is to create a welcoming and comfortable downtown. 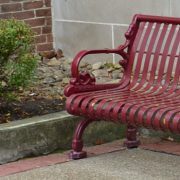 The benches, regardless of color and style, go a long way to support that goal. If the trash cans and benches are where people want them, then the sense of place is enhanced whether or not they are all the same color and style. 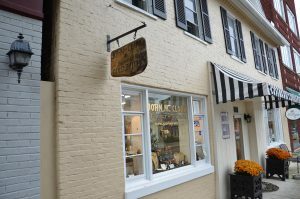 For a recap of our last 8 stops along the road to Main Street, visit our Pinterest boards, here.